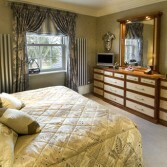 Langley Interiors are proud to present our latest interior designs and fitted furniture. Be the first to see the latest creations from Peter Langley. Showcasing the exclusive new room set in ‘Red Elm and Ebony Maccassa’ – bespoke and exotic fitted bedroom furniture featuring real wood at its’ best. Make sure you don’t miss out by registering for tickets now at Eventbrite. Tickets are free and as a ‘Thankyou’ for attending and booking tickets online we will give every couple that　attends a bottle of Bodegas Sonsiera from Barrica wines　- choose from the white or red – both are delicious! Maximum of 4 tickets per customer. Numbers strictly limited. Please call us on 01204 525432 if you have any questions or need assistance with tickets. Featuring in the Langleys showroom, Posh Living Bolton Home accessories – individual, unique and exclusive to Langleys. Mirrors, bespoke pictures, accessories and gifts you won’t find anywhere else. Experience the latest soft furnishings to excite and inspire from Marie Campell. 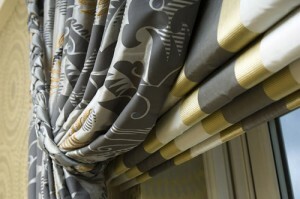 The latest colours for this season, along with beautiful matching and complimenting wallpapers. Scruples from Barrowford will be on hand for the evening to showcase this seasons latest designer trends. The latest designer fashions, taylor made suits and shirts and fabulous service. 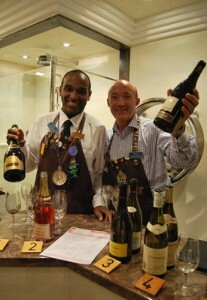 Barrica wine merchants will be offering you a chance to taste some delicious offerings. You may get carried away! Enjoy tasty treats from Frasers Butchers – so delicious we can guarantee you will be wanting more! We like friends, and we’d love to make more! Please feel free to forward these event details to anyone you feel would enjoy these beautiful interior styles and designs – but remember – tickets are strictly limited so get yours quick!